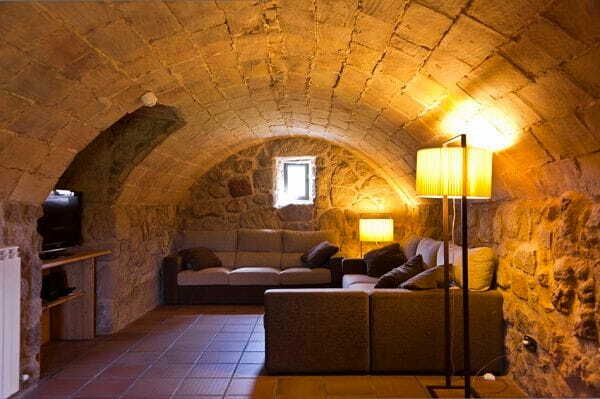 Puigdesala is a farmhouse located 1.5 km from the small town of Santa Maria de Merles is an old house renovated to provide all the comforts of modern life. 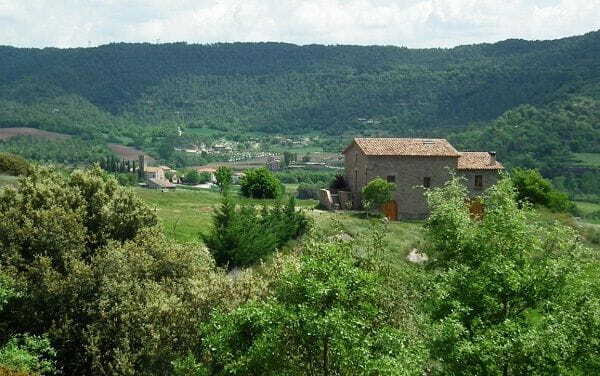 It is located on a hill with a wonderful view over the valley Merlès. 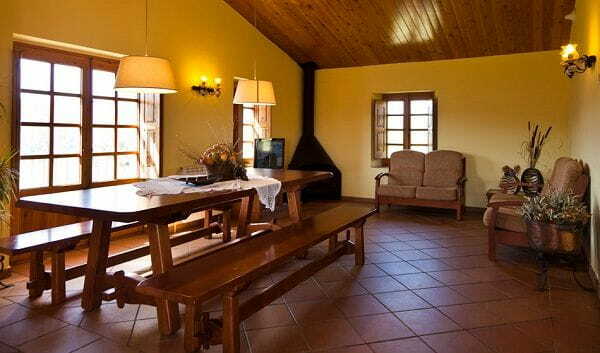 It offers an excellent environment to enjoy the countryside and the tranquility of country life. The house has a fully equipped kitchen, dining room, two living rooms (one of them with fireplace), 6 bedrooms, 5 bathrooms, and two roofs. The exterior also has a covered porch with barbecue, picnic table, ping-pong, football, basketball and playground with swings and slide. 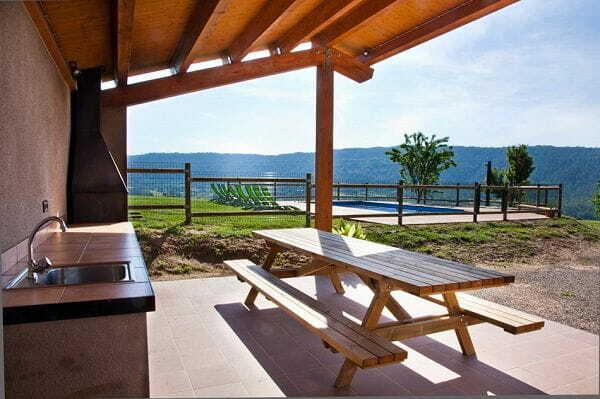 Finally also has a swimming pool with deck chairs and garden area.